Gensol Mobility claims that BLU-SMART is India’s first ever 100 percent electric smart cab fleet launched in NCR, and it will ply in Noida, Greater Noida, Gurugram and Aerocity. BLU-SMART electric smart cab fleet launches in NCR. The company is setting up 65 charging stations in the region. Initially, 70 cabs will ply in Noida, Greater Noida, Gurugram and Aerocity. While tech giants are diligently working to introduce environment-friendly vehicles globally, India has already got its first fleet of electric cabs ready to serve people of Delhi-NCR. Launched by Gensol Mobility, the fleet is claimed to be India’s first ever 100 percent electric fleet, and it could open doors for an era of smart urban electric mobility for consumers and also help decrease pollution in cities. Gensol Mobility, part of smart technology driven Gensol group, says that it has invested over Rs 50 crore as capital expenditure and is setting up a charging infrastructure of 65 stations in Delhi-NCR with each one having up to 20 charging points. According to the company, it has partnered with Mahindra & Mahindra to ply sedan e-Verito across routes such as Greater Noida, Gurugram, Manesar, Sonepat, among others. 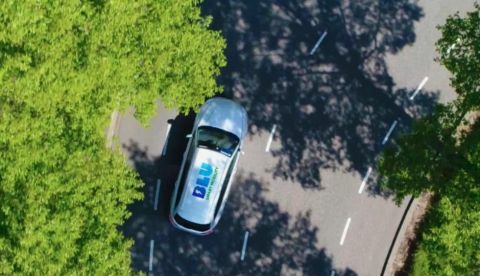 “We at BLU-SMART, strongly believe that the next revolution is in the electric vehicle space and being a technology driven organisation, we had to venture into offering this mobility solution. We are not a competition to current app-based cabs services, but a mere greener alternative to them. And we provide assurance as our drivers will never refuse a ride,” Anmol Singh Jaggi, promoter Gensol Mobility Private Ltd, said in a statement. In the first phase, 70 BLU-SMART cabs will be available in Noida, Greater Noida, Gurugram, Aerocity and the fleet will have up to 400 cars by end of March 2019. The company says that BLU-SMART “will be absolutely surge-price free,” and the service is cashless. The Rs 250-crore player reportedly employs nearly 900 people, a large chunk of it is engineers who work at multiple locations in India.